Our Olympic dumbbell weighs 35 lbs and is designed to take up weight plates with a diameter of 2 inches up to a maximum weight of 600 lbs. The training with the barbell is ideal for your whole body, in particular your biceps & triceps. 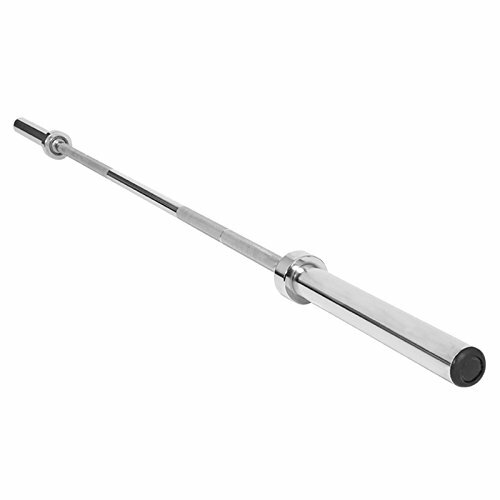 It made of solid chromed steel with knurled handle and fits for 2in Olympic plates. Two spring collars are included. They and smooth weight area make changing the weights fast and easy. If you have any questions about this product by Gorilla Sports Inc., contact us by completing and submitting the form below. If you are looking for a specif part number, please include it with your message.